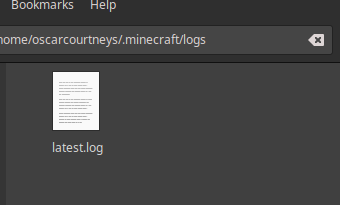 2)when I run forge without mods the mc launcher just says Minecraft crashed so i check the logs and it says " Process crashed with exit code 1 "
so I google the issue and couldn't find any useful solutions so if anyone could help that would be great. Sorry but. This hasn't helped. See the spoiler in my signature below every one of my messages? Expand that and expand the "Logs" section. I have Uninstalled Minecraft and forge reinstalled both and times I'm still getting the same error and crash (I'm on Linux btw). In the Minecraft game output says it only had one fatal error saying " Process crashed with exit code 1 " SO CAN SOME PLEASE GIVE ME A SOLUTION!!!! Please don't make duplicate threads, especially when I'm already trying to help you in this thread. You have not provided game logs or launcher logs, I need more information that those files provide. This information is in my signature. 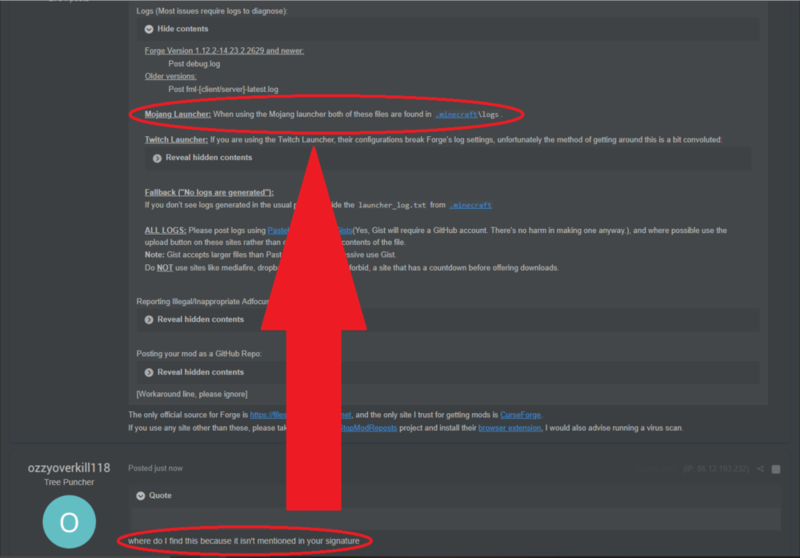 How did you install Forge? Do you have a launcher_log.txt ? Not exactly but it should be the same text.